I almost forgot to share about this. 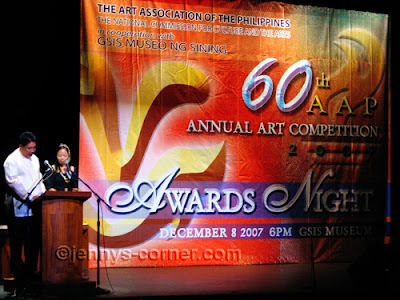 2 of my older brothers joined the Annual Art Competition at AAP (Art Association of the Phils.) 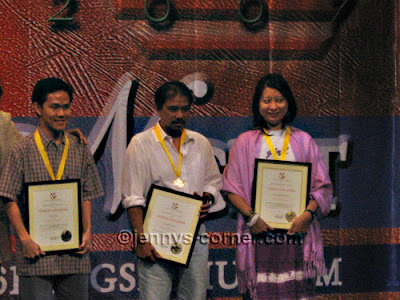 Older bro entered the photo category while the other one in the Mix Media Competition. My older bro didn't grabbed the grand prize this year unlike last year where he got the 1st prize. This entry won as HONORABLE MENTION at least. Here is his winning entry. He only uses Minolta film camera. Take a look at the lighting that comes from the window and illuminating the child. 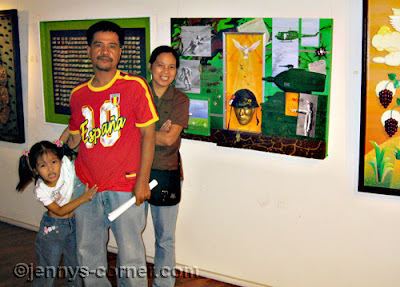 "Munting Lalangkay, Hinuhubog ni Nanay"
Artists really comes from the family, aside from that they are also visual artists.